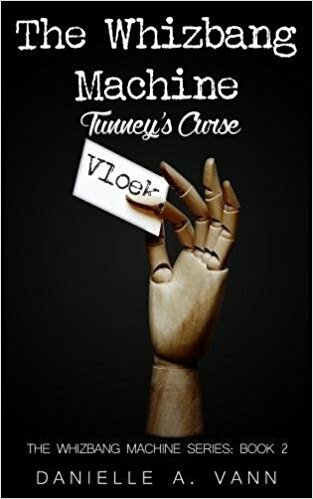 Elizabeth Yale is back in The Whizbang Machine: Tunney’s Curse. She and her grandfather have barely escaped the collapsing factory, but already they are on a race with time. In this, the second book in the Whizbang Series, Elizabeth must save the Whizbang machine and put an end to the family curse before it ruins the lives of the people of Leiden. But the clock is ticking and they must stop the curse before her mother’s fortieth birthday which is just days away. Audiences who enjoyed the first book in this installment will thrill at the newest book in the Whizbang series. Author Danielle Vann continues to enchant and enthrall readers with compelling scenes and intensely suspenseful moments throughout this exciting book. Recommended for home and school libraries, The Whizbang Machine: Tunney’s Curse is a dynamic fantasy adventure with mystery, action, suspense and intrigue. This book has earned the Literary Classics Seal of Approval.